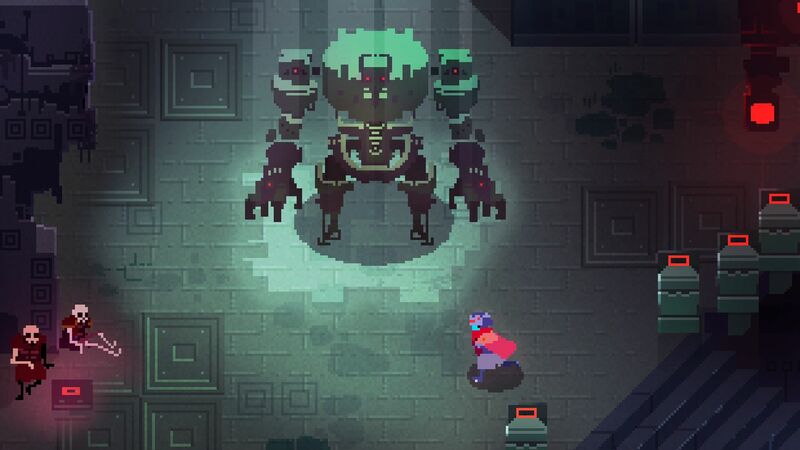 Hyper Light Drifter began as a little Kickstarter campaign - the goal was only $27,000 - back in fall 2013, and quickly became one of the most anticipated indie titles in the industry, garnering praise from many major outlets. Surpassing their donation goal in one day and going on to raise more than 20 times the goal, fans have been looking forward to the retro-styled 2D action RPG for quite some time. The release date has been pushed back more than a few times, but they've finally offered a new release window which team members assured me was a "guarantee." That window is spring 2016. Director and Lead Artist Alex Preston originally envisioned a game that was somewhere in between The Legend of Zelda: A Link to the Past and Diablo - a game reminiscent of 8-bit and 16-bit classics with modern day mechanics - and if that isn't enough to get you excited, there's a lot of energy going into the soundtrack, composed by Disasterpeace. The OST sounds amazing, and the storyline is loosely inspired by Preston's own health issues, hence the name Heart Machine. 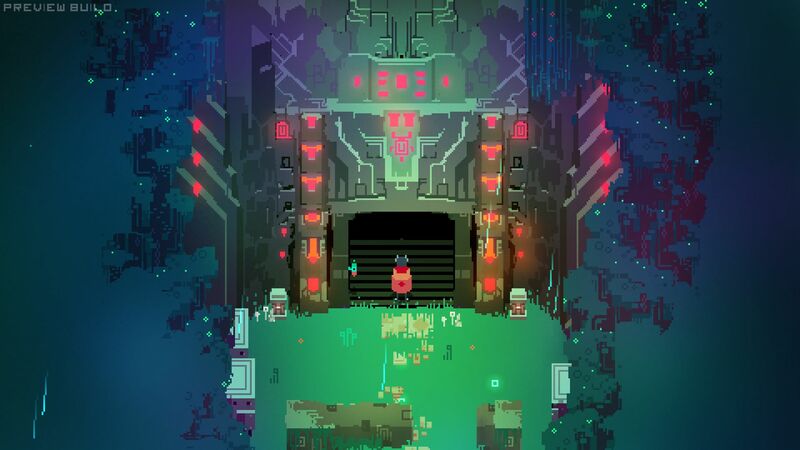 In Hyper Light Drifter, you are an adventurer equipped with an energy sword and knowledge of certain technologies other people in the world have forgotten. You are searching for a cure for a disease you are suffering from in a world you do not know much about. The developer on hand was very secretive about many of the story elements, but here's what I saw in my hands-on time. In addition to the energy sword, you also have guns to keep enemies at a distance, and a mechanical sidekick that floats along with your character, not unlike Navi. 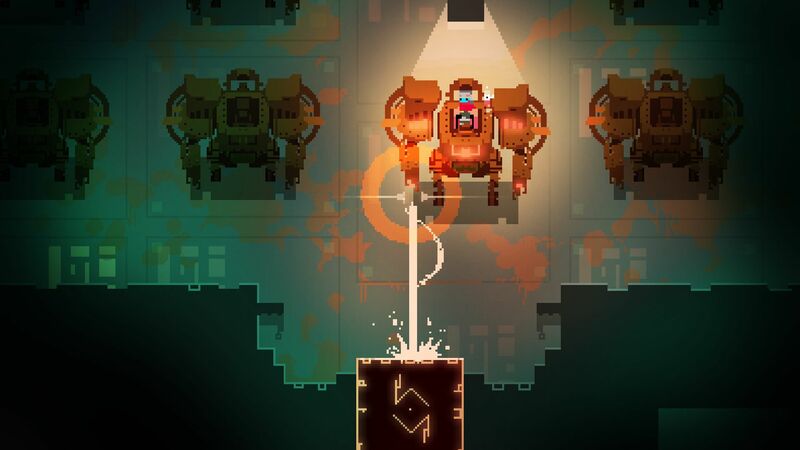 The demo only offered the pistol and long-range railgun for gun options, and players will find these very useful when encountering certain exploding baddies. There was an impressive variety of enemies, each with its own attack and movement patterns. 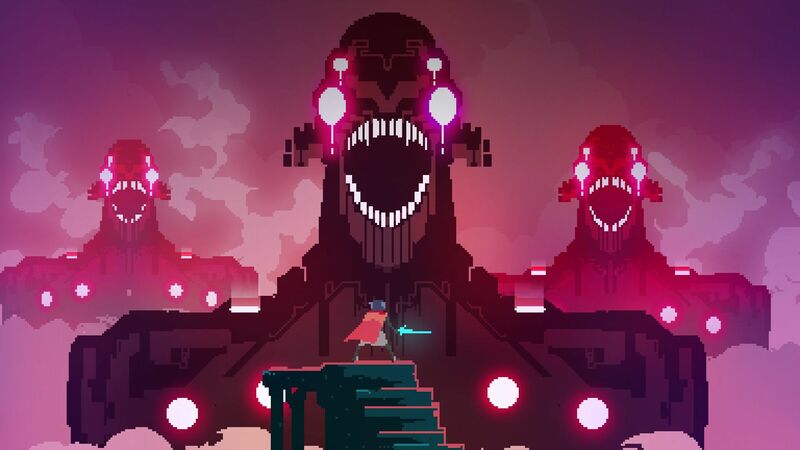 Like many 2-D platformers, learning the enemy and boss patterns is the key to success. You can interact with objects in the level - computers, for example, that I was told the player would eventually discover the purpose for - which led to item acquisition or level manipulation, like raising a bridge to allow access to a new area. Eventually, I encountered the large boss scene shown in the newest trailer, which was just released a few days ago, and the difficulty was more than I had anticipated it to be. Even the developer on hand was only able to do partial damage before dying himself. It looks like there will be many a solid challenge with this one. Heart Machine also showed off a Challenge Mode, where two players could fight waves of enemies. I was happy to see that this was indeed local co-op. With a game that appeals so heavily to the 90s gamer, it would just feel wrong to have multiplayer restricted to online only. 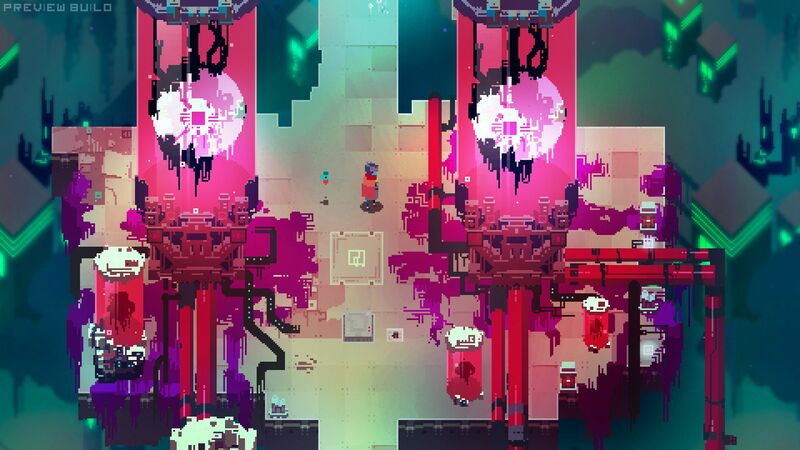 Hyper Light Drifter is planned for release on PC/Mac/Linux, all major next-gen consoles, as well as PlayStation Vita and Ouya. You can follow the updates and development process right here.